But if your decision is wrong the whole dream will be turned into a nightmare. There are basically two types of finishing nailer according to the shape of the maganize. One is called as straight finish nailer where the magazine is designed straight against the gun and another one is angled finish nailer where the magazine is curved against the gun. This is actually the main and eye-catching difference between angled finish nailer and straight finish nailer. They do have more difference like mechanism, nail size etc. Coil Framing vs Stick Nailer: Which One to Choose? In a straight finish nailer the magazine has placed straightly so that it can give a support to builders while driving a nail on the surface. So that they won’t shoot any nail incorrectly. The nail size of this nailer is about 16-gauge which is thinner and can hardly be shown because this kind of nailer basically is used on an open surface. This kind of nailer is highly recommended for trimming work. This name is perfectly fit for this nailer. The magazine of this nailer is angled and narrow so that it can be fitted into the narrow space and can drive nails into the difficult surfaces. This nailer uses thick nails so that it can hold those tight spaces very strongly. The nail size is about 15-gauge and much larger than other nails to hold the surface and also the magazine has space to load larger nails than others. This kind of nailer is ideal for cabinet making. Physiognomically, these two finish nailers look different though they belong to the same family. 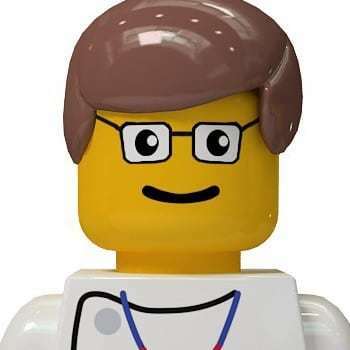 Anyone can easily detect which is straight and which is angled by looking at his or her body. The magazine of a straight finish nailer is straightly attached to the nail gun, on the other hand, the magazine of an angle one is angled against the main body of the nail gun. Of course the deal is really big. But how can a simple difference in the design make it huge? Well, think that you are holding a straight finish nailer on a surface which makes L structure. It can shoot nail directly on the surface but if the surface is narrow a bit this straight nailer cannot put nails on the surface because there is no room for the tip flush. On the other hand, angled finish nailer makes an angle so that it can reach to the narrowest edge of the surface to put nails on it. A straight finish nailer basically is used on the surface which is straight. This nailer cannot work with the tight space or the corners of the surface. On the other hand, angled finish nailer can work both on the straight surface and the corner of the surface. As the magazine of the nailer is slightly angled so that the builders get an extra space to put the nail into a very narrow area. A straight finish nailer has used much thinner nails than an angled finish nailer. It’s usually used 16-gauge nails for finishing and the head of the nails are shaped as letter T. On the other hand, to secure the corners, an angled finish nailer uses 15-gauge nails and the head of the nails are shaped as D. So that the nails can hold the surface tightly and securely. A straight finish nailer is heavier than an angled finish nailer. And for this reason, the builders are more comfortable and find angled finish nailer user-friendly. They can easily hold the gun and work with it for a long time. Now come to the main decision, the budget! An angled finish nailer is literally expensive than straight finish nailer though it is less heavy. The reason of this is an angled finish nailer can reach to the sharp edge of a surface which is really a difficult work to do and also use much thicker nails than straight finish nailer. Having these two features still it is less heavy than a straight one and thus the judgmental line has drowned of being an expensive tool. 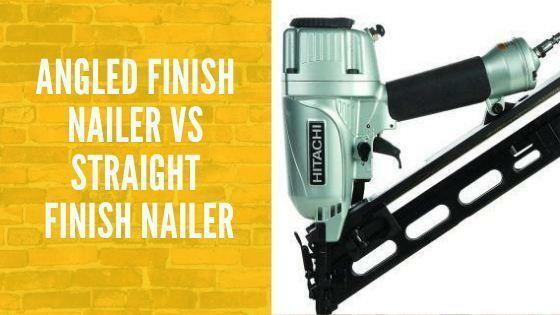 Both nailers are used for driving nails into the surface but according to their design and features they have differences which make them unique and more individual from each other. Choosing between these two nailers is not that hard. It’s totally depended on the work that you will be done. If you want to trim than go for straight nailers because it is very good at hiding the nails and can give you an extra support. On the other hand, if you want to make a cabinet, so there will be lots of narrow and tight spaces to cover up. For this, you should go with an angled finish nailer.